The Warner Bros. Pictures and Legendary Pictures fantasy action-thriller Seventh Son will be heading to Comic-Con 2013 in San Diego next week, with a panel in Hall H on Saturday, July 20 at 10:45 AM. 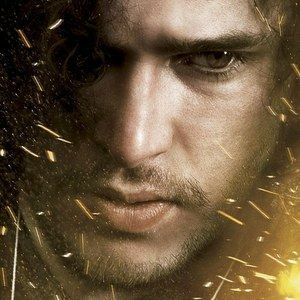 The studio has released a character poster featuring Kit Harington that will be on display in the San Diego Convention Center. Don't be surprised if Warner Bros. and Legendary start rolling out even more one-sheets before the convention gets under way. Take a look, then CLICK HERE to check out the trailer that was released yesterday. "No stranger to evil creatures... @GameofThrones star #KitHarington in #SeventhSon. @Legendary pic.twitter.com/LsLrD9bWX1"